The project will deal with the topic of Western history of art and its Judeo-Christian roots; is this hypothesis tenable, defensible or does it require an adjustment? 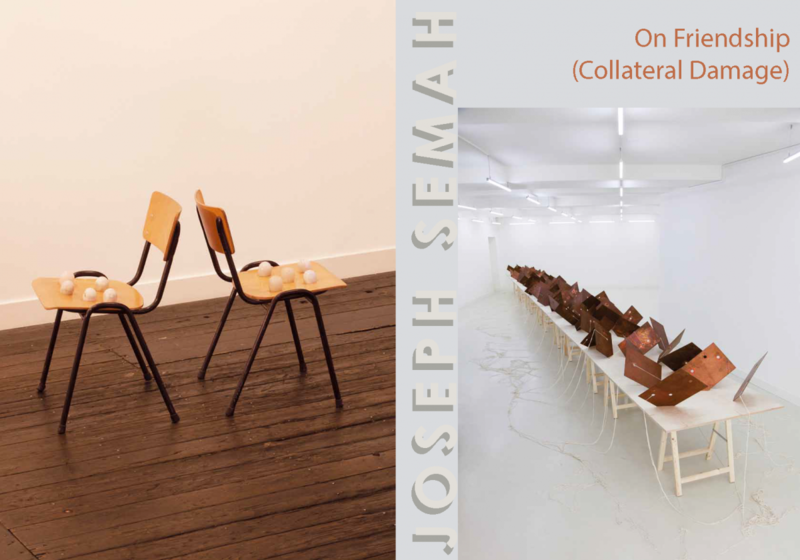 Joseph Semah and representatives of museums, art and culture discussed profoundly one of the most significant questions concerning art historical research: the search for coherence in making works of art, and what this consistency means for contemporary thought on art historical research. With: Joseph Semah, Linda Bouws, Dr. Arie Hartog (director of the Gerhard-Marcks-Haus, Bremen), Prof.dr. Ton Nijhuis (scientific director of the Duitsland Instituut, Amsterdam), Michael Huijser (director of the Rembrandt House Museum, Amsterdam), Matthea Westerduin (phd candidate at the facilty of theology at the VU), Amsterdam. Prior to the symposium, a meeting and exposition were held in the premises of the Amsterdam law firm - Vink Veldman & Swiers lawyers, where the publication On Friendship / (Collateral Damage) was presented and a discussion took place with the director of the Stedelijk Museum in Amsterdam, Beatrix Ruf. The publication includes texts by Joseph Semah concerning Kazimir Malevich and Barnett Newman, Arie Hartog en Emile Schrijver (director Joods Historish Museum, Amsterdam).